Erica is an Illinois native, who has been fortunate to travel the world and stand witness to many cultural traditions and family customs. In 2013 she returned to her home and brought with her an established, reliable brand: herself. Since starting her photographic career in 2011, she has taken time to invest in herself, both through technical practice and extensive education from many of the top photographer in the nation, and she has grown to become an award-winning photographer across various platforms. A proud member of the Professional Photographers of America (PPA), the International Association of Newborn Photographers (INP), and the National Association of Professional Child Photographers (NAPCP), Erica has evolved into an unparalleled photographer in her chosen profession. She has been published in Best Newborn Photographer and Shutter magazine, and in 2013 was labeled the “Best New Emerging Newborn Photographer of 2013” by FSH & ACP. Affectionately referred to by clients as “the baby whisperer”, Erica earned the title of “2014 Leading Photographer” for the 2014 Baby EXPO. With credentials that speak for themselves, Erica leads a busy life with her two young boys while solely and independently running a highly successful business. Her open and inviting personality make her a pleasure to work with, resulting in clients from both near and far eagerly booking with her. Her style combines whimsical elements while focusing on moments and features that will soon be memories, helping parents to preserve those brief stages of their children’s lives for years to come. As a mother herself, Erica holds family near to her heart, and takes pride in capturing family portraits and special moments as well. As her business grew, Erica recognized a need and understanding for professional branding and portraits as well. She offers full studio sessions with a local hair and make-up artist, and branding packages to help fellow entrepreneurs and business men and women alike achieve professional goals of their own. These expansions and new endeavors for her business make her a pacesetter in the photography community, rocketing her into new and exciting roles as an instructor and mentor to new photographers looking to grow and learn within the field. 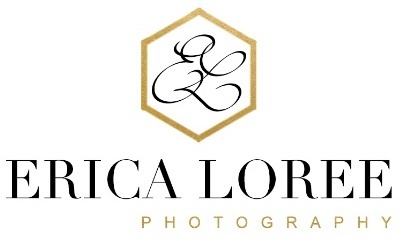 Trust Erica to capture and preserve your memories, creating much more than portraits, but photographic history and family heirlooms for generations to come.